Hannah Elise: home again, home again, jiggity jig. a blur of happy memories, working together with friends, tired moments, so much laughter, and seeing God work in so many miraculous ways. in Ohio and Michigan, and I just got home last night! as you are all working with the same purpose in mind and it really unifies your whole group. It truly is nice to be home, though, and just 'stay put' for awhile. I've got some exciting posts (!!!) to blog and many shoots coming up here that I can't wait to share. 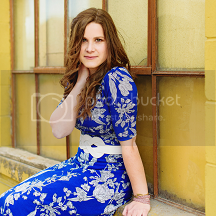 a few favorites from part 2 of Alisa's senior pictures. Welcome home! Sounds like you had a great time. Can't wait to see the new posts. Love the deep purple and how well it contrast with her violin. Beautiful as always! and welcome home...can't wait to see ya Sunday! again...thanks a million doing the new blog address for me! I'm so thrilled!